The YOYOW Foundation will work with the Drupal community and the Drupal Association, a well-known open source software with a broad audience and an excellent reputation. The Drupal Association has a high industry standing and authority as an association which dedicated to cultivating and supporting Drupal software projects, communities and their development. The YOYOW Foundation will promote the websites and applications which using the YOYOW network in the community of Drupal and YOYOW . WeCenter is an open source program for building knowledge communities. It uses the classic MVC structure and opens its system source code and developer documents. It uses a Q&A format that is searchable, categorizable and organizable to help organizations like businesses, schools and government agencies to build their own knowledge database. The features of WeCenter knowledge community, such as credits, awards, content sharing, encourage users to take the initiatives to create content and to spread valuable information, which helps create brand awareness and promotes the product. YOYOW-WeCenter is a YOYOW-chain-based framework for content platform development, funded by the YOYOW team and developed by both YOYOW and WeCenter teams. 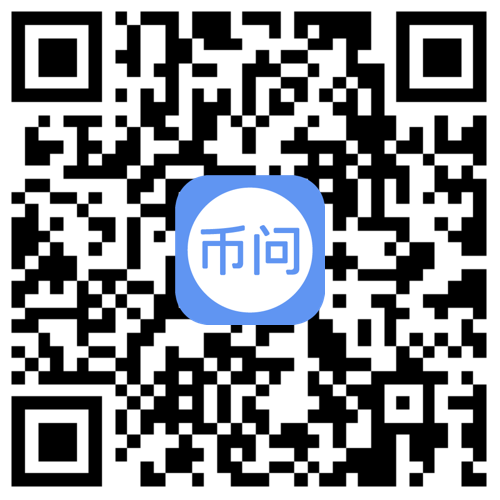 Biask is China’s most professional blockchain Q&A platform where users can share their experience and opinions about cryptocurrencies. It has officially integrated into the YOYOW network and became the first Q&A platform to build on the YOYOW blockchain with incentive mechanisms and use blockchain technology to achieve tokenization. This means that good questions and answers on Biask can receive token incentives. This is an important step for YOYOW to build a self-incentivized content network and open a new chapter in the blockchain content sector. We are a group of DPoS believers from the technical community. We are from the domestic Graphene developer community and have extensive experience in product, operation, maintenance, and infrastructure development. We believe that DPoS (Delegated Proof of Stake) and its variants are online mapping of good institutions in reality, which may be the final form of consensus mechanism. In view of this, we are committed to helping developers to build a DPoS ecosystem and to help drive the self-evolution of projects. 32know is the first blockchain-based vertical content platform in China that attempts to accurately and transparently reward numerous individuals that actively contribute to the community. Its aim: use blockchain to measure the value of knowledge and to affect those influential people. 32know’s name comes from an ancient Chinese poem, “Behind the bamboos two or three sprays of peach-tree grow, when spring has warmed the stream, ducks are the first to know.” It focuses on the blockchain vertical sector, carries the blockchain community consensus concept, builds a quality blockchain content community, and thrives to provide objective, scientific and insightful blockchain content information services. MDL Talent Hub is a Skycoin-based talent trading platform that uses YOYOW’s authorized login feature. MDL Talent Hub will bring transparency and efficiency, two fundamental characteristics of the new era, to the talent sourcing market and provide ways for every platform user to monetize his/her talent. The founding team of MDL Talent Hub deeply understands the pain points of the traditional talent brokerage industry and realizes the great potential of the new form of talent trade in the internet era so that they created MDL Talent Hub, a more convenient and efficient platform specifically designed for artists and reservations. The Public Chain Technology Alliance （PCTA） is initiated by the Bitsclub Vision Program (BVP). It aims to form an open, cooperative and inclusive alliance and break the vicious competition among various public chains thus to line up their isolated ecosystem. Alliance partners will jointly explore and set public chain technical standards. Partners will connect their ecosystem and developer communities, display their respective strengths and jointly promote the standardized and benign development of the blockchain industry. In addition, Alliance partners will provide technical support to qualified projects of BVP, thereby laying a solid technical foundation for the blockchain to carry high-quality incremental users, and support BVP to realize its vision: to introduce 100 million incremental users to the blockchain world.